As we all know, a simple change in the user interface or a few improvements in the applications is not sufficient for a new version of Android to the attention of new users. It takes a lot more than that, better to call too much attention. And it seems that this new system Android, Jelly Bean, Google is focusing on its safety, as it is something that takes time and a concern to users. But if you can say for certain that Android Jelly Bean is the Android operating system safer for all. When Google gave us this latest and the newest version of Android that is known as Jelly Bean, while Google was showing us an operating system with many graphical improvements and applications, which are the improvements that we can see, also had a very safe in all respects but this does not look. The truth is that security become very important on in our smartphones and has become a key point, because as we all know there are plenty of malicious applications that want to get our data and passwords. Apparently those days when we were comfortable with our mobile and not seen. As stated above, Google has worked while improving their safety, both in internet access in the browser, and to review applications from Google Play some have been infected. It has also designed the system ASLR (Adrees Space Layout Randomization) that this is a security system that changes position of the most important system files from time to time, and doing so makes them inaccessible to those who seek to gain control of the device . Google just installed this new system in its latest version of Android, making it the safest of all. It is also clear that there have been cases of Android devices infected with malware or a boot to take measures that Google once and for all. But Apple’s operating system takes longer implanted in the iPhone than Android, it seems that does not suffer from so many attacks, or malware. In this respect it seems that Google would have to learn a bit from Apple. Anyway, if it is true that thanks all the developers their work and constantly improve its services, and searching for solutions to problems that arise in operating system. And although Jelly Bean has not yet reached to almost any device, Android users can rest assured knowing that have supported Google and many developers to solve either case. 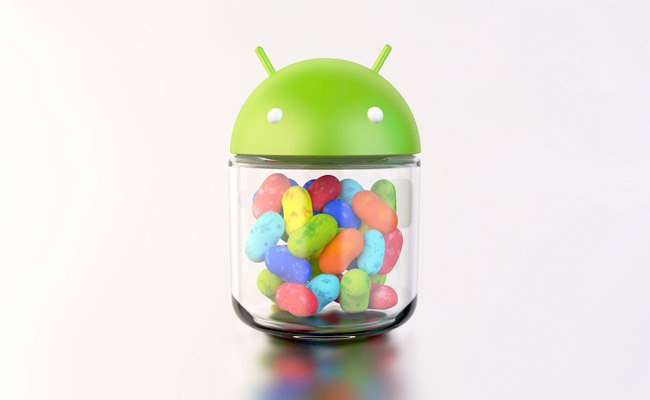 Every day we are hearing something special about Jelly Bean and today I brought the security and safety feature of Android Jelly Bean, even developers are agree that Android Jelly Bean is the safest Android till to this date.